Are you looking for a suitable conference hotel in Miami (FL) for your next meeting or event? Use our free and convenient service in Miami (FL) and receive comparable proposals directly from the chosen conference hotels in Miami (FL) with just one online request and save a lot of time. The list below shows you the most popular Miami (FL) conference hotels as well as conference venues in Miami (FL) and gives you details about the hotel and its conference facilities. By clicking the name of the hotel you can view even more information, pictures or videos. Select your preferred hotels to start your free and non-binding online enquiry and you will start receiving your hotel proposals within a couple of hours. Welcome to the Sunshine State Florida and one of the most spectacular cities in the USA – Miami. You have decided to organize your next Conference Miami? This will be a good decision. In Miami you find some of the best Conference Hotels on the Atlantic Coast. Miami is a major center and a leader in finance, commerce, culture, media, entertainment, the arts, and international trade. Many of the most important hotel chains have Conference Hotels in the City from different comfort categories. But finding the right hotel can be difficult, because the selection of conference hotels is huge. 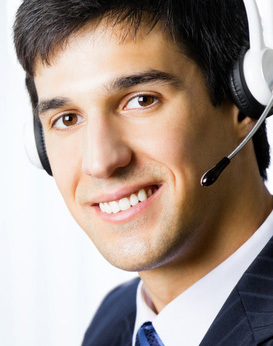 It is advisable to get help from a professional agency, to facilitate the search. The Team from my-conferencehotel knows the best addresses in Miami and they can certainly help further. Our staff is trained and has a lot of experience. Of course our Service is totally free of charge. Haven't found an adequate Miami (FL) conference hotel in our list or want to propose a different conference hotel? Please contact us! May we assist you with planning your conference in Miami (FL)? Call or email us to benefit from our experience and use our free service to find suitable conference hotels in Miami (FL) or in other destinations around the world. You will receive comparable offers directly from the hotels within a couple of hours.